Melody graduated from Oregon School of Massage in 2005. 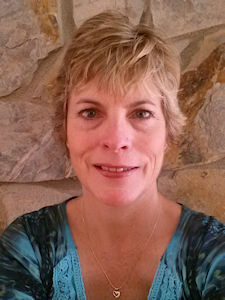 With 10 years of massage experience and continued education, her focus and passion came with Bowenwork, which she was introduced to, and began training in, in 2012. She immediately fell in love with the gentleness of this technique. Bowenwork is not only gentle on her clients, but on her as well, which was important to her after dealing with the many injuries sustained by years of doing massage. Even more impressive than the gentleness of Bowenwork, is its dramatic results achieved with her clients. For Melody, Bowenwork has far exceeded every modality she’s ever learned. Results are amazing, and for many people, miraculous. It gives hope to those who have tried everything else to no avail, because within a few sessions (sometimes even on the first), clients can feel changes happening. Many report a deep sense of relaxation, pain relief, increased range of motion, and an overall sense of well-being. Melody, herself, has witnessed the effectiveness of Bowenwork in her body when dealing with sprains, tendinitis, and chronic sciatic pain. Melody is passionate about helping her clients feel better and be absent of pain. She works hard at getting people back to living life again and enjoying all the things they had loved before the pain took over. Melody recently became an American Bowen Academy Associate Instructor so she could bring awareness of this wonderful technique and to empower others to learn and use it. Melody’s passion for Bowenwork is evident in her teaching approach. By instructing students in the Introduction to Bowenwork class, she feels rewarded as students gain an understanding of the power and simplicity of this amazing hands-on therapy, as well as, observing the results themselves just from the basic moves that are taught.